To rent one of these canoes and travel along the Mersey River in Kejimkujik National Park in Nova Scotia, Canada is one of the most scenic ways to see the natural beauty of the area. 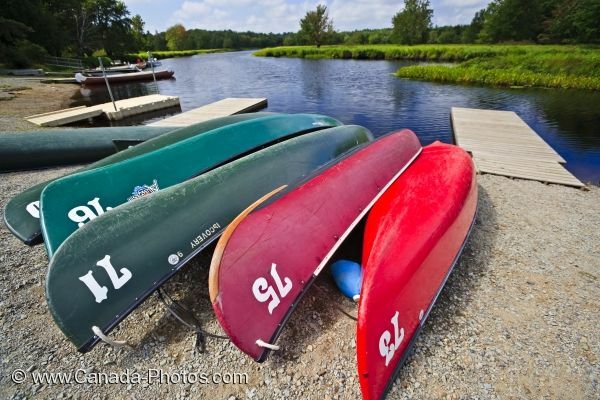 The lush green wilderness expands across both sides of the Mersey River and the canoes at the rental location are always ready to be taken out for a tour. Picture of numbered canoes along the banks of the Mersey River in Kejimkujik National Park in Nova Scotia, Canada.